Multifunctional COLOR Konica Minolta C300. 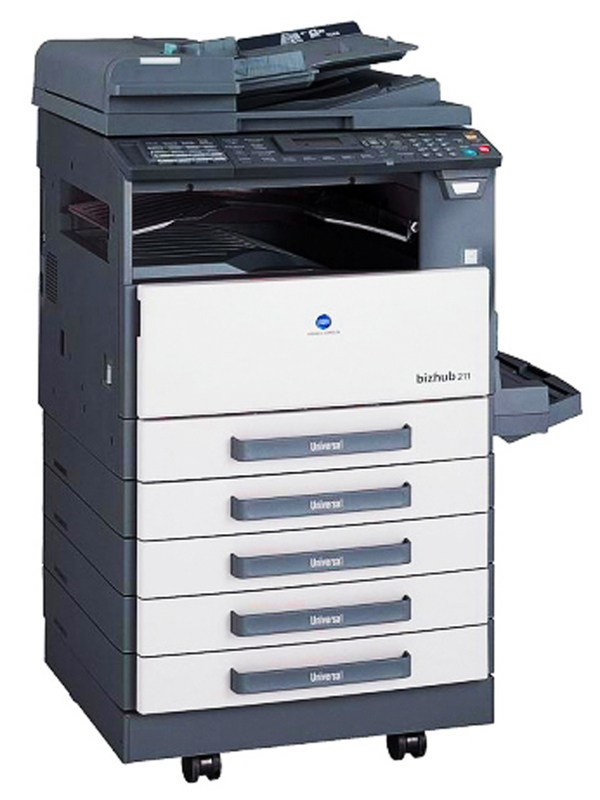 Particulary suitable for the small company or large department the bizhub C300 offers a modern integrated office technology platform to maximise the efficiency of the workgroup and thus the success. It provides in the workgroup and excellent print performance. As the first colour device with embedded finishing it offers the advantages of compactness. It includes high definition monochrome and high quality colour printing combined with mixmedia, special print media and the embedded finishing. Colleagues will enjoy the intuitive ease-of-access, both over the large touchscreen panel and via the Webbrowser. Documents can be combined at will, independent of their format, and are further enhanced by the range of automatic functionality. In fact, the bizhub C300 is so easy to use that everyone effectively becomes an expert. 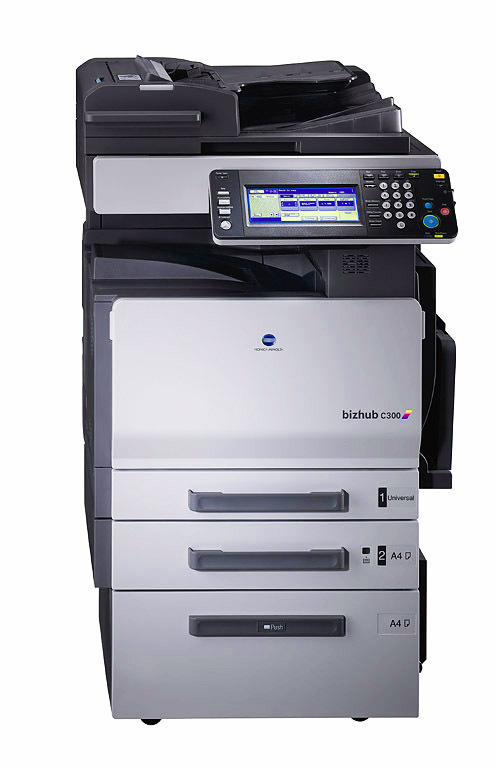 The bizhub C300 also achieves full office functionality. The Box functionality supports archiving, the comprehensive scanning facilities and the sharing of job settings and the printing capabilty and paper handling is also just what is needed for the modern effective office. In comparison with multiple stand-alones the bizhub C300 is an investment with very good returns and brings running costs down. The ease of operation, the extensive office functionality and the flexible excellent printing and finishing release an enormous amount of staff time for their true high-level roles. 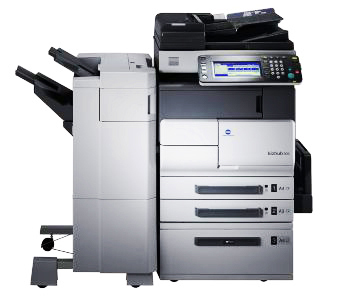 The bizhub C300 integrated office is the economic key to synergy, quality, success.